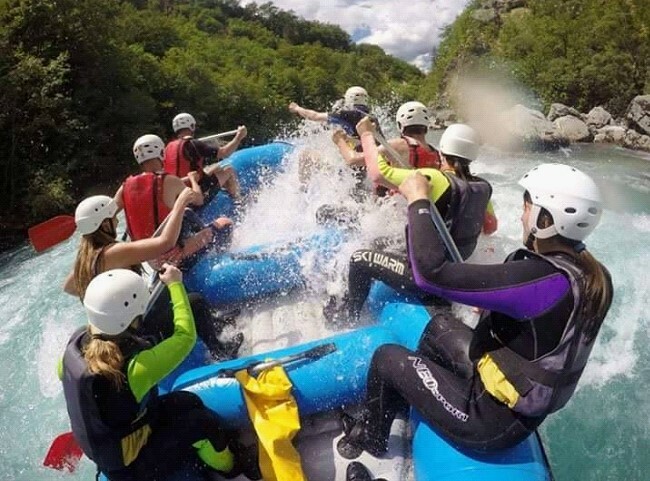 An exhilarating and scenic rafting experience on the wild and pristine Tara River. Enjoy thrilling whitewater interspersed with beautiful tranquil stretches; jump from a 6 meter high cliff; swim and take a shower under a waterfall - Seize the day! Along our spectacularly scenic journey to the northern reaches of Montenegro we’ll pass along the baroque town of Perast, Kotor/Risan Bay and Salt Lake near Nikšić. 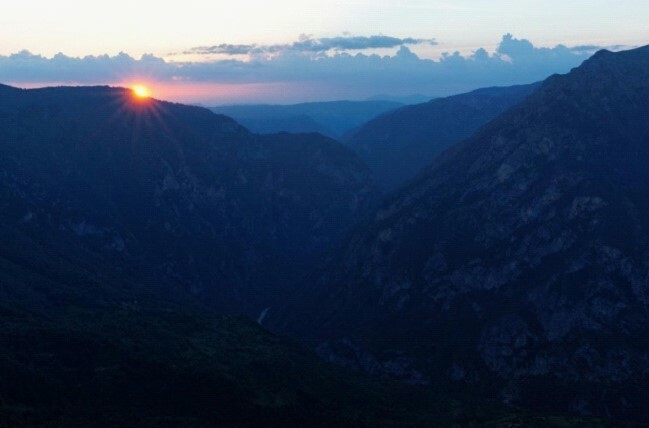 You’ll also enjoy scenic views of Piva Lake and the dramatic Piva Canyon, with 56 handmade tunnels within 30 kilometers distance. 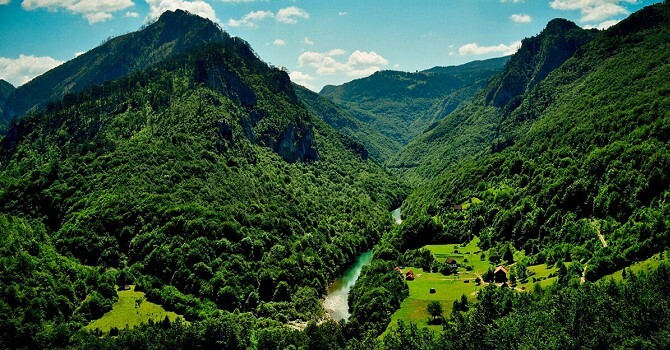 We’ll stop to savor delicious local food and have a stunning view from 220 meter high dam over Piva river. 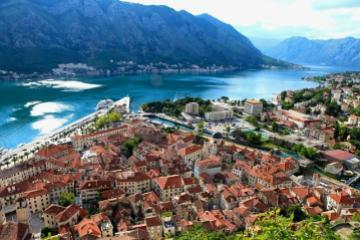 Meeting point is in front of "360 Monte" Travel Agency office in the Old Town of Kotor. 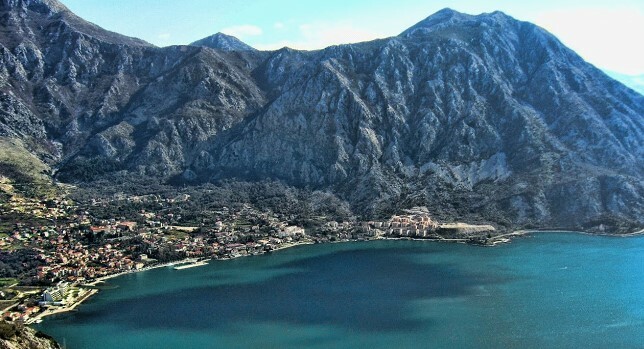 HIGHLIGHTS: photo stop at Perast, view above the bay of Risan, Salt Lake, Piva Lake and Piva River Canyon, 56 handmade tunnels, 220 meters high dam "Mratinje", rafting, local food. 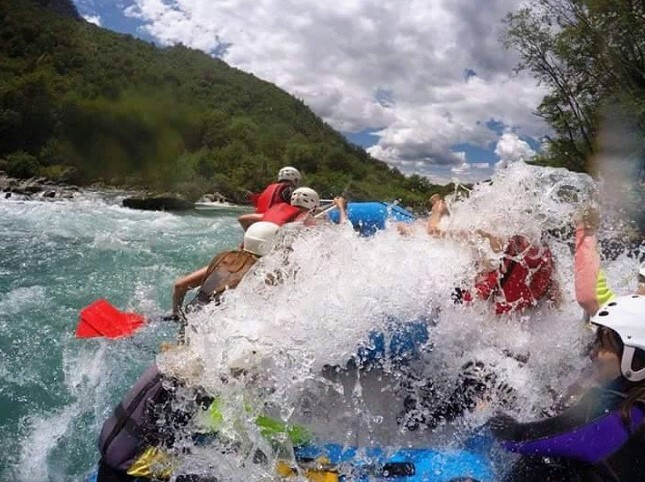 A dynamic, exciting and unforgettable experience that combines whitewater rafting, astonishing natural landscapes and the best local food! 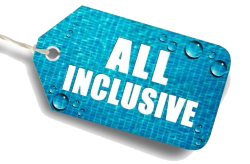 Age, rafting and swimming experience are non-factors. 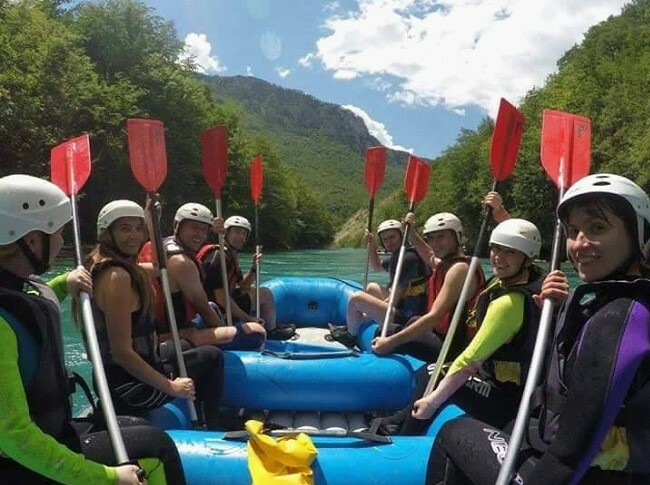 Our professional and helpful rafting guides will insure that everyone enjoys a safe and thrilling adventure. 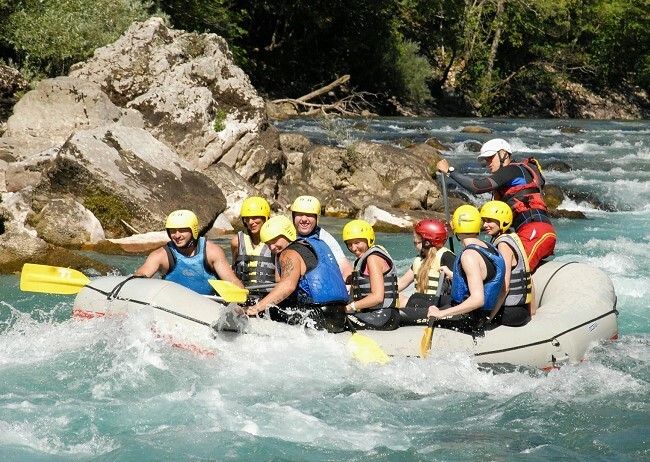 We start Tara Rafting Tour from our meeting point at 7:00 am. After 20 minutes our first brief stop is the small baroque town of Perast, where we’ll see two famous islands – Our Lady of the Rocks and St. George – a perfect photo opportunity! As we ascend above Risan Bay the magnificent views escalate - so, we stop to take photos of the rising sun above this majestic panorama. 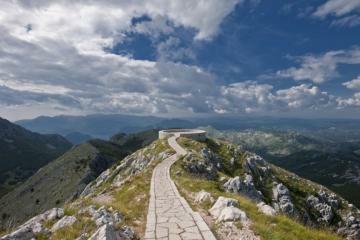 Leaving the Bay of Kotor behind, we continue to traverse ranges of lofty peaks. 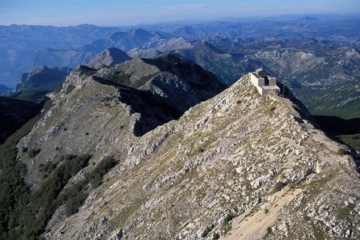 We soon pass by Salt Lake, located near Nikšić, the second biggest city in Montenegro. 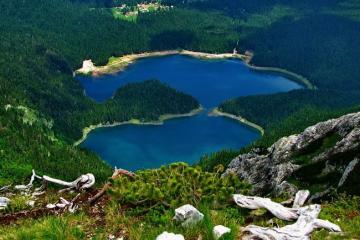 Another hour of driving takes us along an especially awe-inspiring vantage of Piva Lake – near Plužine town. 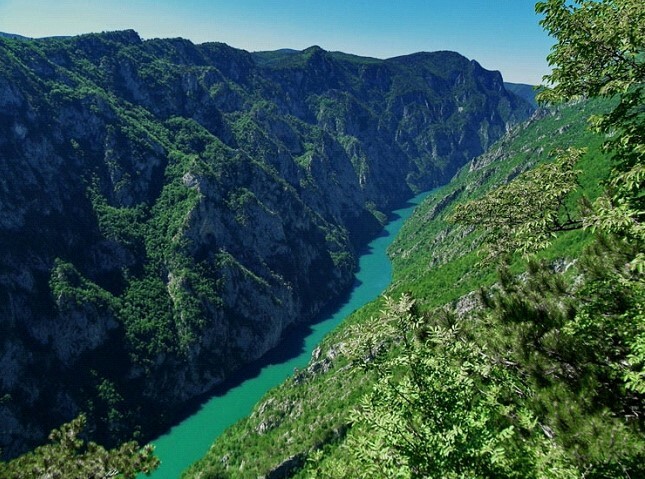 Piva Lake is 45 kilometers long and almost 200 meters deep! 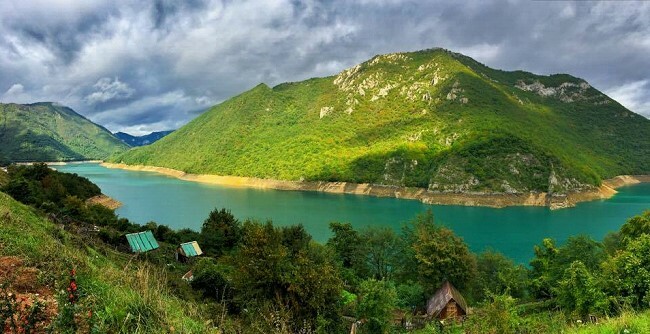 This is the largest artificial lake (reservoir with drinkable water) in the Balkans. We’ll take a quick top at the 220 meter high dam – where you can view the wide and deep turquoise water on one side – the narrow ribbon of river discharge on the other. 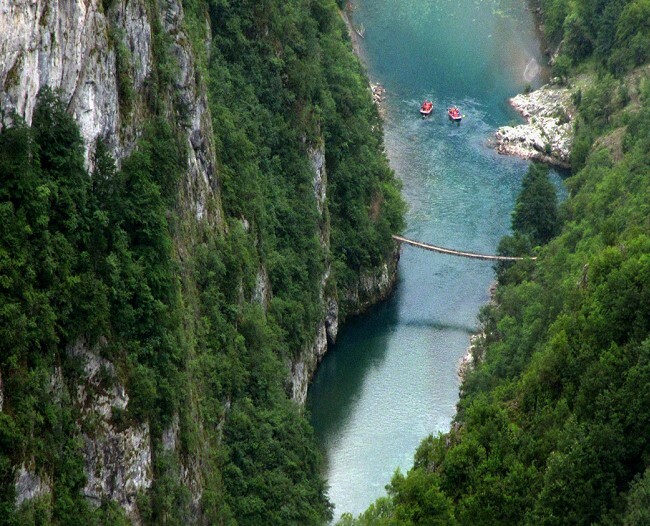 We continue our Tara Rafting tour through the Piva River Canyon, unquestionably one of most dramatic and breathtaking road passages in Montenegro. During about 30 kilometer distance we’ll drive through 56 hand-made tunnels which harmoniously blend into the natural landscape. On the sharp cliffs and high steep walls of the canyon take note of the Black Pines that grow strait from the solid rock. Some of these trees are over 450 years old and can grow to heights of 30 meters. It’s around 10:45am and we’re finally at our ultimate destination – the Tara River. A traditional Montenegrin homemade breakfast is served at a restaurant along the riverbank, from which you can see into Bosnia (the river is a natural border between two countries). We’ll then board mini-vans to head towards our rafting launch point - 30 minutes away. 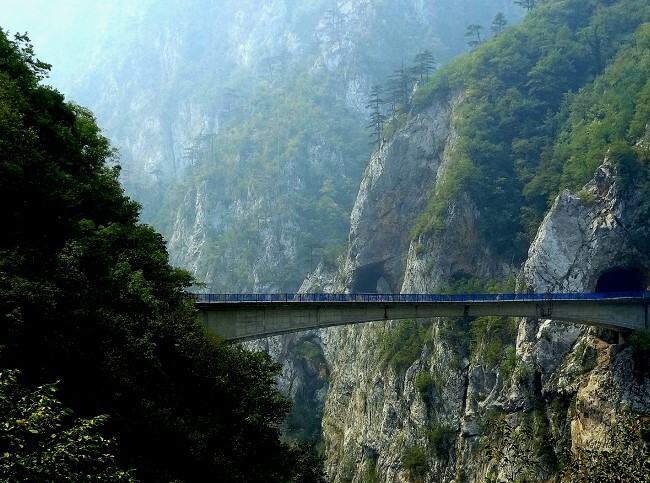 Allow the adventure to begin! 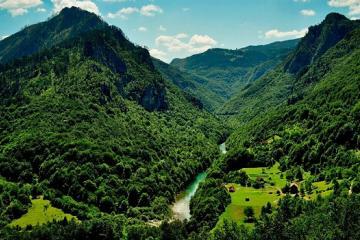 Tara River is one of the natural wonders of Montenegro - along with being its longest river (144 km). Known as the “Tear of Europe”, due to its pristinely clean, drinkable water. 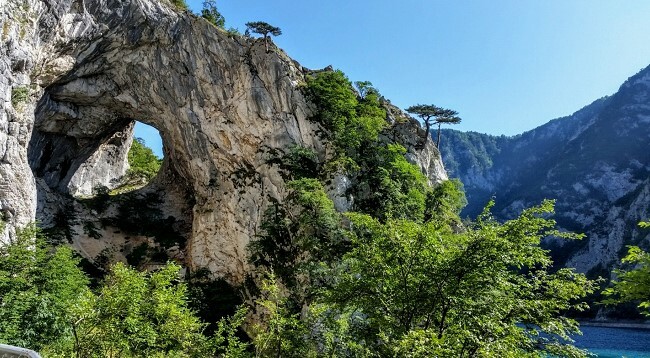 The Tara is the deepest (up to 1,300 meters) canyon in Europe and second deepest in the WORLD (just after the Grand Canyon of Colorado!) 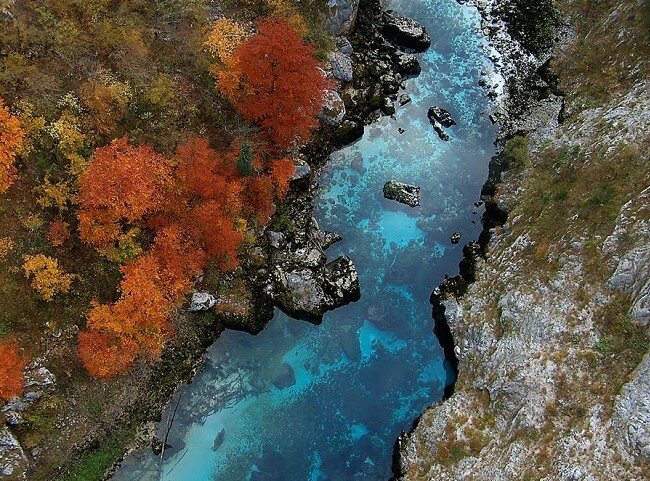 Transparent blue, green and turquoise waters clearly expose every rock and fish through our river course - understandably, your adrenaline-pumped attention may be elsewhere! 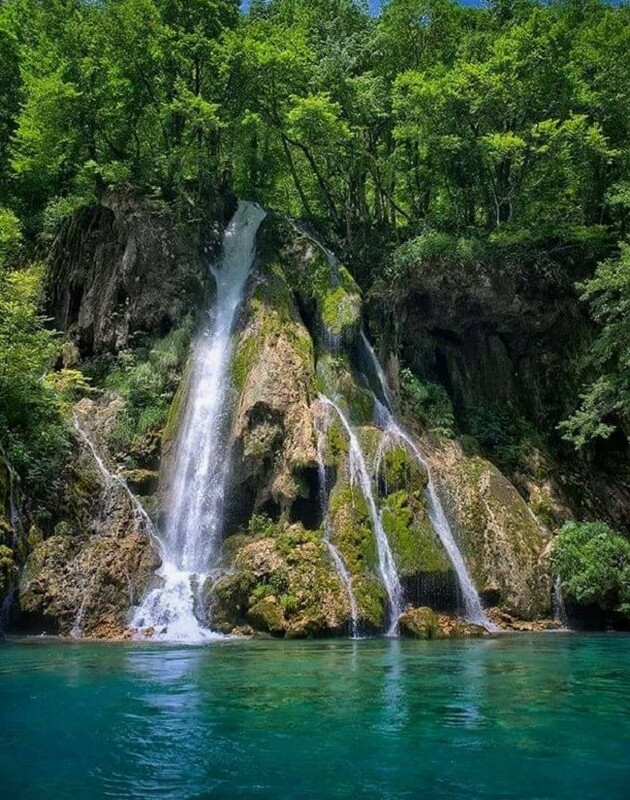 There are numerous waterfalls descending from the surrounding cliffs – the most renown being Skakavica – with a water temperature which never goes above 4 degrees Celsius (39.2 F) where we stop for “an ice shower” and drinks at Bosnian land (passing to the other side of the river). The section of the canyon we’ll descend is 18 km long - with 21 rapids out of a total of 50 that exist on the Tara River. 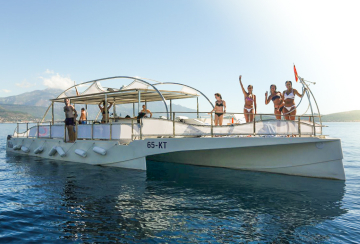 Licensed professional skippers will take care of you and make your day unforgettable! For all adrenaline seekers, ask your skipper to point out cliffs and rocks particularly good for jumping into the water! Just make sure your GoPro is on! Along the river we’ll have stops for jumping and swimming. Wet suits will help a lot but have in mind that river is cold all year around. Tumbled up and soaked, but happy! The flowing river takes us back to the base camp, where we change back to dry clothes and enjoy a delicious traditional Montenegrin lunch. Around 4:00 pm we are likely ready to hit the road back to Kotor. We’ll continue towards and arrive back in Kotor around 7:30 pm. When applying, please have in mind summer traffic jams and unpredictable delays on sites - so the return time could be later than proposed. We always do our best to respect the time schedule.